Amanda Anderson, a senior at Whitman-Hanson Regional High, will continue her volleyball career at Curry College next season. Whitman-Hanson Regional High senior Amanda Anderson has committed to play volleyball at Curry College. A key factor in Anderson’s decision was the ability to reunite with former W-H girls’ volleyball teammate and good friend Jordyn Keith, a rising sophomore on the Curry women’s volleyball team. Anderson was a two-year starter at outside hitter for the Panthers and co-captained the club this past season. She ended her career with 104 digs, 94 kills and 76 aces. Anderson dealt with her fair share of adversity on the court. After an injury cut short her junior campaign, she fractured her foot in the first practice of this past season. While the injury kept her out of game action for the opening month, it didn’t hinder her from making a making a positive impression. While Anderson provided the younger girls an example on the bench, she did in practice as well, leading the junior varsity and freshman teams in a variety of drills during the course of the season. Anderson’s work with the younger players shined at its brightest in the Panthers’ final contest of the fall, a 3-1 win over Bridgewater-Raynham. After starting her regulars, Balbian lifted them in the second set and inserted a bevy of girls who had come up from junior varsity, many that Anderson mentored. 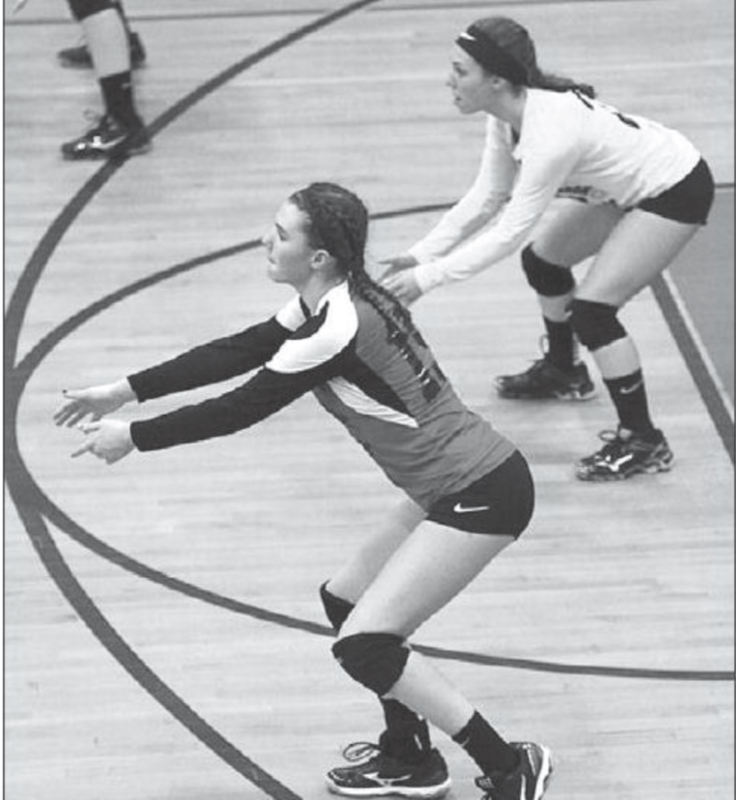 Anderson said her fondest memory on the court at W-H came during her junior season in a 3-2 victory over Pembroke. Balbian said Curry is receiving a natural leader on and off the court in Anderson. “Curry College is getting a dedicated student athlete who is excited about her major in psychology but also passionate about playing volleyball and being part of a team,” Balbian explained. Curry, which competes in the Commonwealth Coast Conference of NCAA Division III, finished 11-18 last season. Halle Julian, a three-year starter for the Whitman-Hanson Regional High girls’ volleyball team, will play at Eastern Nazarene College next year. 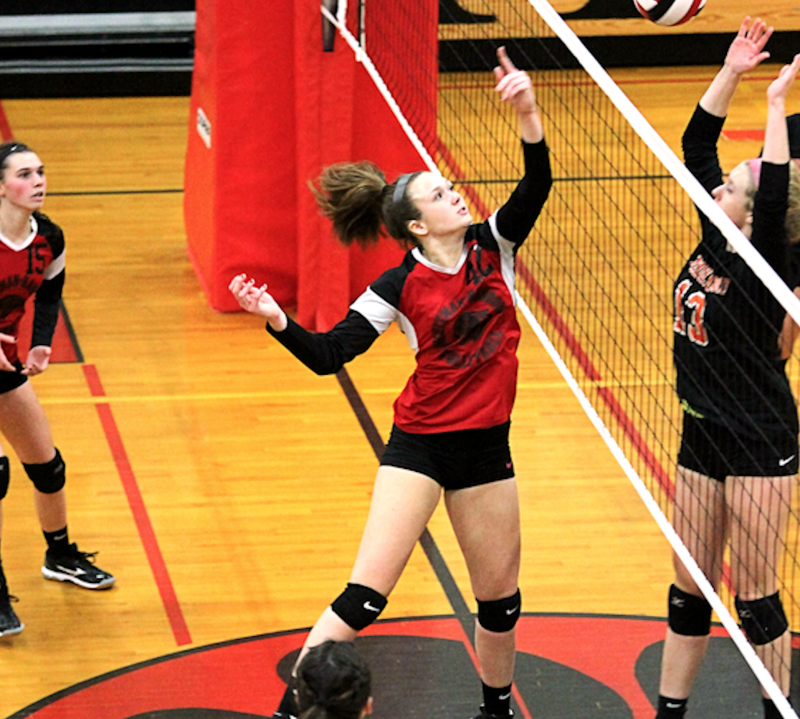 Whitman-Hanson Regional High School senior Halle Julian has committed to play volleyball at Eastern Nazarene College. Julian was a three-year starter at middle hitter for the Panthers. Julian, who first began playing competitive volleyball her freshman season, is the school’s all-time leader in blocks (316) on record. During her junior campaign, she led the state in blocks with 124, helping to lead W-H to its second straight tournament appearance. This past season, in what was her third on varsity, Julian assumed the role of co-captain, leading her team in a variety of community service projects. 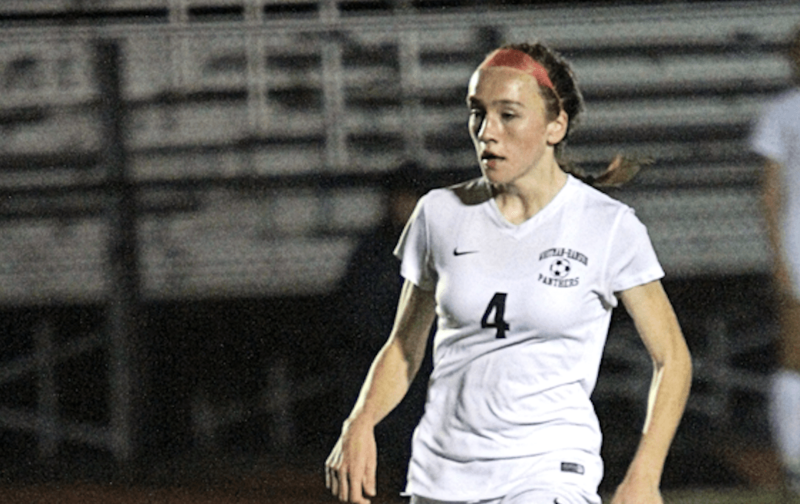 In her role as co-captain, Julian served as a mentor to the younger players in the program and would often take the time during practice to lead the junior varsity and freshman teams in a specific drill. Julian’s work with the younger players shined during the Panthers’ final contest of the season, a 3-1 win over Bridgewater-Raynham. Julian said her fondest memory on the court at W-H came during her sophomore campaign, when the program qualified for the postseason for the first time in recent memory. Eastern Nazarene, which competes in the Commonwealth Coast Conference of NCAA Division III, finished 11-19 last season. “Right now, I’m on an elite team and we have the championships coming up for the whole thing and I think it would be really great if we can finish really well in that,” Julian said. Jack Kelly will play football at Bridgewater State University next season. Whitman-Hanson Regional High senior Jack Kelly has committed to play football at Bridgewater State University. “Bridgewater State is a great school for education,” Kelly explained. “My father attended there, and I am going to be a physical education major. Kelly said he began being recruited by the Bridgewater State coaching staff after the New England Elite Football Clinic at Bentley University in July. The 6-foot-1, 205-pound Kelly played two years for the Panthers, having moved to Whitman his junior year from Brockton, where he played his freshman and sophomore campaigns as a Boxer. This past season, Kelly started at linebacker for the Panthers and recorded 47 tackles, seven for loss, and broke up three passes. W-H football head coach Mike Driscoll lauded Kelly’s worth ethic. Kelly said his most memorable tilt as a Panthers was Oct. 6 when W-H defeated Plymouth North, 28-24, in the last minute. “They were a big, physical team, and as a defense we rose to the occasion and got many hard-fought stops in the second half, which allowed us to pull out a huge win late in the game,” Kelly said. Driscoll said Bridgewater State is landing a hard-working kid, who is going to give it 100 percent every day in Kelly. Kelly said the two main facets of being successful at football he learned as a Panther were hard work and preparation. Bridgewater State, which competes in the Massachusetts State Collegiate Athletic Conference of NCAA Division III, finished 2-8 last season. Brett Holmes will play football at Colby College next season. Whitman-Hanson Regional High senior Brett Holmes has committed to play football at Colby College. Holmes, who has only received two B’s throughout high school and is a member of the Business Honor Society, said the choice came down to finding a school that would challenge himself academically and set him up for a bright future. “When I went to other schools, they tended to focus on Brett Holmes as a football player, and how they will make me a better football player,” Holmes said. “When I went to Colby, they emphasized making me a better man as well as a better football player. The 5-foot-10, 160-pound Holmes was a three-year starter at cornerback and a two-year starter at wide receiver for W-H. This past season, Holmes, who served as a captain, was a ball hawk on defense, intercepting a team-leading four passes. He also ranked third on the Panthers with 59 total tackles. On offense, Holmes tied for first on the team with 23 receptions and led W-H with 306 receiving yards and five touchdowns. W-H football head coach Mike Driscoll, who also coaches Holmes on the boys’ indoor and outdoor track teams, lauded his leadership. 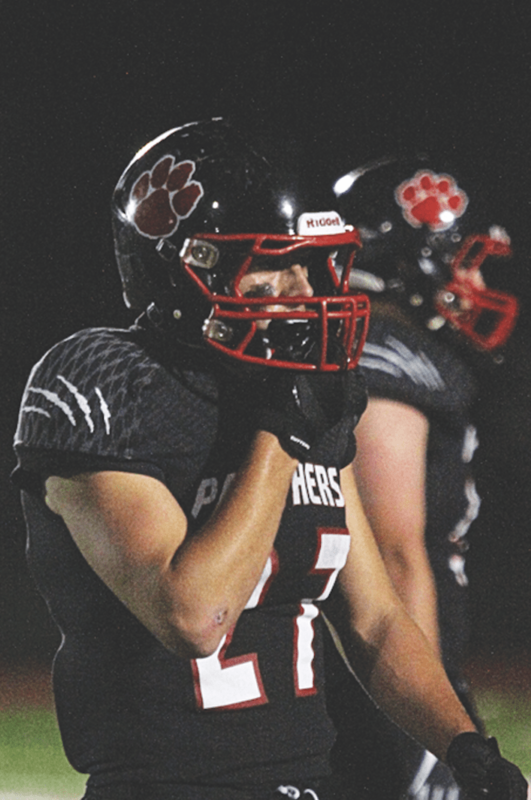 Holmes, who was a league all-star this past season, said his most memorable game as a Panther was his final at Dennis M. O’Brien Field – a 21-14 victory over Marshfield on Nov. 10. He hauled in three passes for 64 yards and a touchdown and came away with an interception in that one. Holmes said the main lesson he learned during his tenure at W-H that he hopes to carry over to the collegiate level is just hard work. “W-H taught [me] that you have to work for whatever you want, on the field, off the field, anything, you have to go and work for it,” he said. Colby, which competes in the New England Small College Athletic Conference of NCAA Division III, finished 1-8 last season. During Riley Holland’s four seasons on the offensive line, the Panthers’ rushing attack saw an immense amount of success — accumulating 9,339 yards and 102 touchdowns. Whitman-Hanson Regional High senior Riley Holland has committed to play football at Trinity College. “I looked at what school is going to give me the best chance to get a good degree, mixed with the best chance to play high-competitive football and Trinity fit both perfectly for me,” Holland said. The 6-foot-2, 285-pound Holland was a four-year starter on W-H’s offensive line. He spent his first two seasons at left tackle, before shifting over to center, where he was tabbed a two-time Enterprise All-Scholastic. This past Thanksgiving, Holland set a school record with his 44th consecutive start. During his four seasons on the offensive line, the Panthers’ rushing attack saw an immense amount of success — accumulating 9,339 yards and 102 touchdowns. On the defensive side of the ball, Holland, who manned a post on the defensive line since his sophomore campaign, totaled 144 tackles and 4.0 sacks over his high school career. Holland, a captain this past season, is also a two-time Patriot League Keenan Division All-Star on the gridiron. W-H football head coach Mike Driscoll, who just concluded his seventh season at the helm of the program, said Holland is the best all-around lineman he has ever coached. At Trinity, Holland will be reunited with former W-H trench-mate Matt Evans, whom he spent two years with on the Panthers’ offensive line. “Knowing someone there and being able to talk to him about the school and the chances you get was definitely something that I enjoyed throughout the process,” Holland said. Holland said his best moment playing for W-H, which boasted a 25-19 record during his time there, was on Thanksgiving of his junior season, when the Panthers came roaring back from a three-touchdown deficit to defeat Abington, 29-28. “Being down 21-0 and coming back to win that game, that was huge,” Holland said. Trinity, which competes in the New England Small College Athletic Conference of NCAA Division III, finished 8-1 last season. “I just want to go into camp next summer and compete as early as I can,” Holland said. Matt Evans will play football at Trinity College next year. Hardworking, tough, and intelligent is how Whitman-Hanson Regional High senior Matt Evans describes his uncle, now he gets the chance to follow in his footsteps on the gridiron. It’s not often that a child gets to turn on the television and say, “Hey, there is my uncle”. But, for Evans that was the case. Throughout his childhood, Evans grew up admiring his uncle Matt Tower. Tower stared on the Boston College Eagles from 1998-2001. Now, the 6-foot-3 Evans will be making his own mark at the next level, after announcing his commitment to play football at Trinity College in the fall. 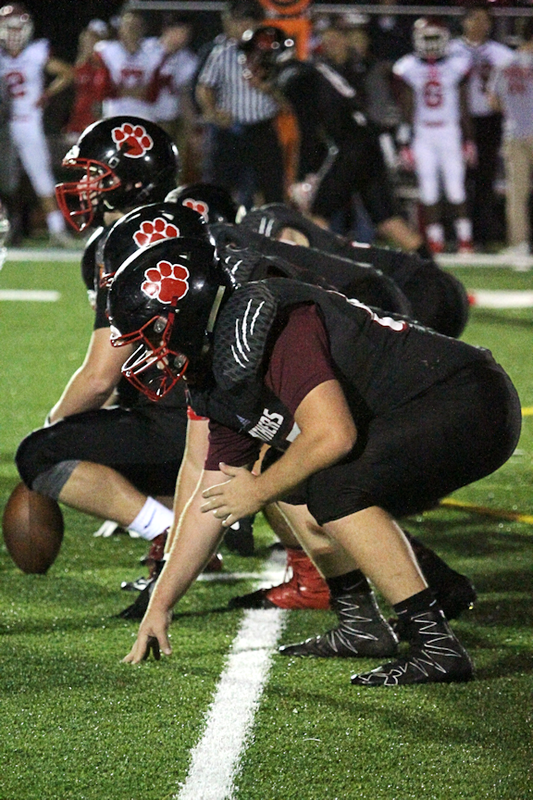 Evans, a three-year varsity player, contributed on both ends of the ball as a center and defensive end for the Panthers. “Trinity is a good fit for me because college is supposed to set you up for a good career for the rest of your life and I believe Trinity will do just that,” Evans said. Evans, a Whitman resident, has amassed some incredible feats during his time at Whitman-Hanson. Evans has been tabbed a WATD Player of the Week, an Enterprise All-Scholastic, been a part of the boys’ basketball team’s record-setting run, and will compete in the Shriners All-Star Football Classic. Evans said his proudest moment on the field for the Panthers came during their 41-12 win over rival Abington, their first win over the Green Wave since 2011. Whitman-Hanson Regional High football head coach Mike Driscoll said he hopes one key aspect of Evans’ daily grind rubs off on his younger players heading into next season. “Hard work in the offseason leads to results on the field,” Driscoll said. As he prepares for the fall, Evans said he isn’t doing anything out of the ordinary and is just following his routine that has gotten him to this point. “I’ve just been continuing to go to the gym and workout for next season to prep my body for college football,” Evans said. Evans added he couldn’t have gotten to this point without guidance from many important people. “I just want to thank my coaches, my teammates, and of course my parents for supporting me playing football and giving me memories that will last forever,” he said.